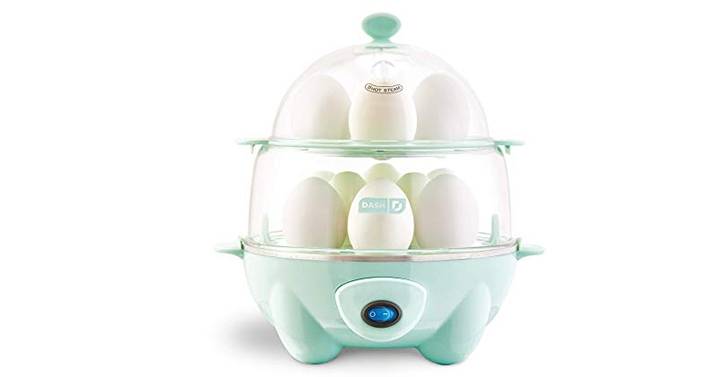 Dash Deluxe Electric Rapid Egg Cooker – 12 Capacity – Just $17.99! Do you love hard boiled eggs? I have a couple kids who do! I don’t know how I never knew about this awesome egg cooker! Are you also one of those people who didn’t know? If so, here’s a great deal! I’m getting one tonight! Get on over to Amazon to find the Dash Deluxe Electric Rapid Egg Cooker for just $17.99!